The last session on the Warwickshire Avon a moving piece of meat was pretty successful; it’s a method I don’t use often enough. 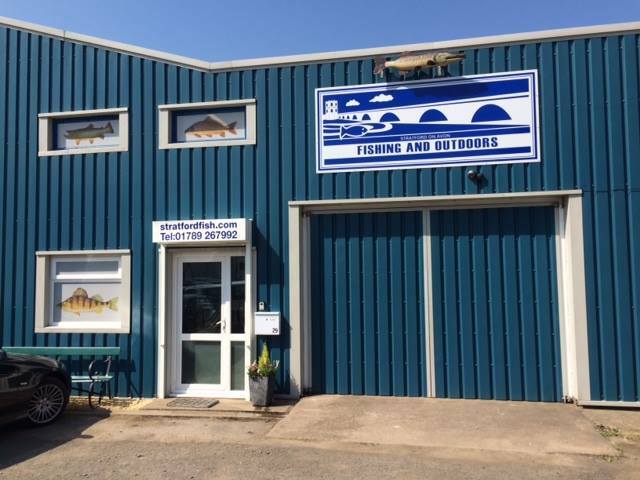 It suits me as a roving angler and sciatica sufferer, a landing net, rod, a small bag and un-hooking mat is all you really need. I’d modified my rig slightly for this session, but essentially it’s a large longshank hook with an adjustable grippa stop up the line a foot or so from the hook, this stop allows some plasticine to be moulded around it or I sometimes I pinch a couple of preston jumbo locking shot on the line if the flow is particularly strong, you want the bait to sink and ‘roll’ across the river bed after all. 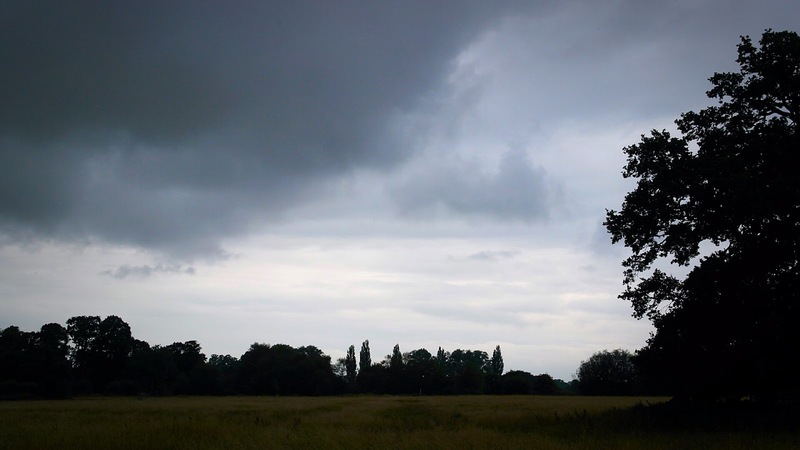 The weather has been mediocre of late; disappointing below average temperatures, the summer needs a jumpstart. Even my Webber Kettle has had a bit of reprieve up till now, a rather large chicken has been primed for penetration and I’ve a beer can at the ready FFS. It certainly would be nice to get some sun on ones back, but it looks like mid August will be when temperatures will rise again. 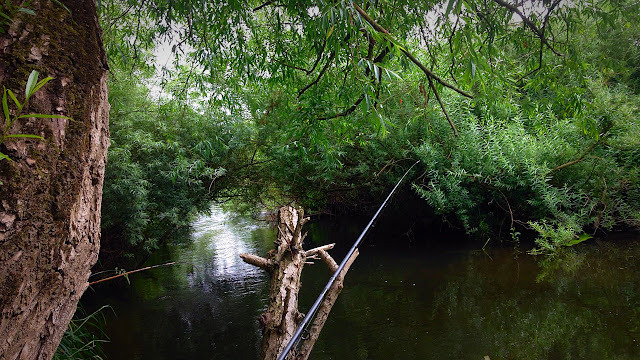 To be honest August and September have been good months for me when targeting Barbel, so plenty of time left to gather some bloggers points but some nice nicer weather wouldn’t go amiss, it is meant to be summer, isn’t it ? It certainly doesn’t feel like it. It’s still light in the evenings though, so to maximise my banktime a mid-week excursion is most welcome. I was a couple of miles upstream from the last session, but tactics were similar. For the first few hours I’d trundle the meat down 5 or 6 swims and then for the last hour just before dusk I’d fish a static piece of meat that I’d pre-baited with a handful pellets when I arrived. A large buoyant float with some AAA bulkshot certainly worked well but as its narrow here in lots of areas the float was being pulled under by the flow of the water, the ‘rolling’ or ‘trundling’ method if you will, seemed to suit this stretch far better. 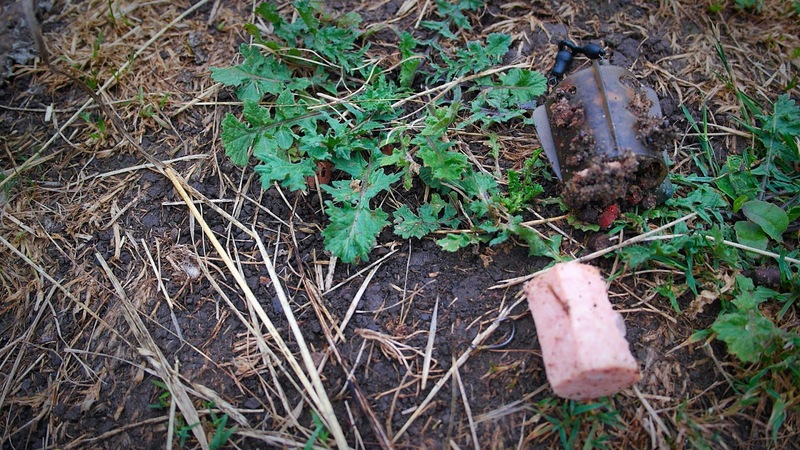 The centrepin is the key for me; it really does complement the method very well indeed. You can feel everything through your thumb on the spool and your thumb also allows you to speed up or slow down the bait very easily. I feel like I’ve got far more control on a hard fighting Barbel too. Your thumb and the pressure you apply is effectively the clutch, the adjustability and control you have is something a fixed spool reel will never give. This short stretch is like a jungle with plenty of swims with cover to go at, it fishes far better when it’s up after recent rainfall, summer levels can be hard work indeed although the fish are easier to spot. 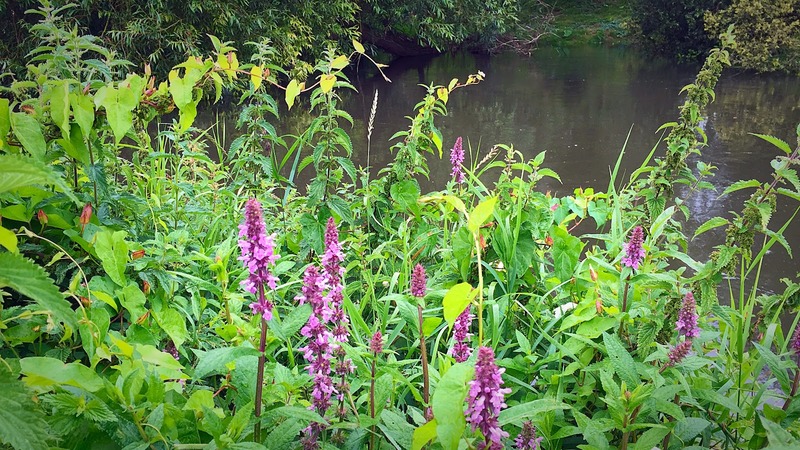 There is thick cover, undercut banks, reed beds, streamer weed, holes and troughs, you name it, and it’s got it. Where there is cover though there is fish, they just need tempting out of their hidey holes. I remember one day here last summer, it was a scorcher of a day and one of the corner swims that is relatively shallow but has thick far bank cover and stream weed I witnessed something for the first time and that was joy to watch. A few pellets thrown upstream and allowed to trickle downstream brought the Chub and Barbel out from their sanctuary and in and amongst the flow to feed heavily and then to return as quickly as they appeared. 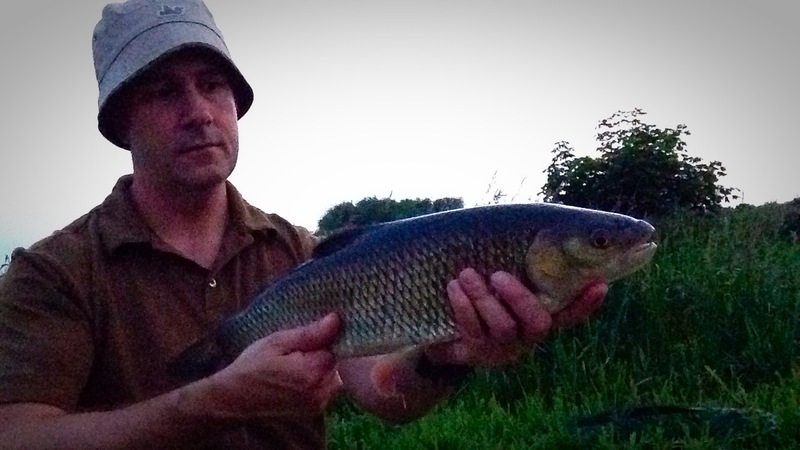 There were some big fish too, probably 5lb plus Chub (the monkey on my back) and a couple of double figure Barbel. The swim which you could probably jump across given a decent run up was suicidal if you ever hooked one but it was the visual spectacle I was subjected too, it certainly got me thinking about outwitting them rather than fish a static bait which can often be left untouched, they can be crafty and shy these fish, they ain’t starving F1’s in mud coloured commercial fisheries. It was down quite a bit from Monday and clear so not ideal conditions but there is plenty to go at here, the first couple of swims not a touch a touch or a nibble so I moved upstream where there is a narrow swim but with plenty of cover. I’d bumped in to another angler who had been there most of the day and had some Chub and a small Barbel so encouraging signs. 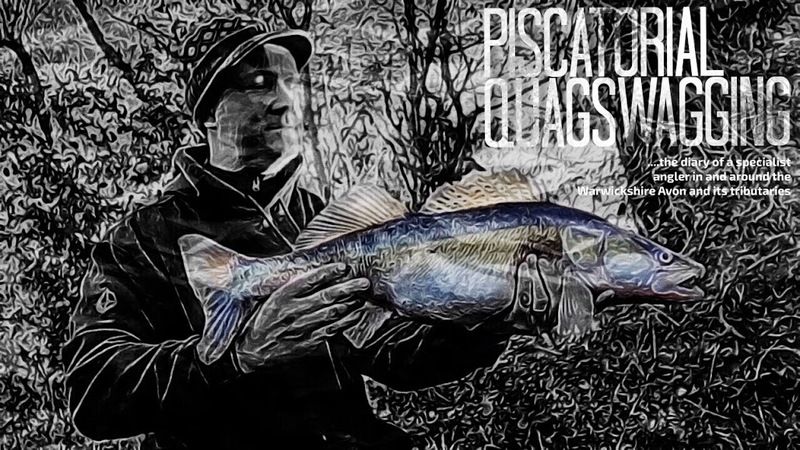 The first cast I caught a tree fish so had to re-rig, the next cast upstream was perfect and the meat started to roll under the thick far bank cover, sure enough some taps felts through the reel I’d struck in to a decent fish. With the rod bent double and with me giving it plenty of side strain the fish was trying to get back to the thick cover. It eventually revealed itself and yes a decent Barbel, a nice sight amongst the clear water and streamer weed, after a spirited fight the fish was in the net. Not a huge fish but in perfect condition and very fit indeed, and a nice change from Mr Chub. I rested the fish for a while before weighing it, 5lb 8oz. 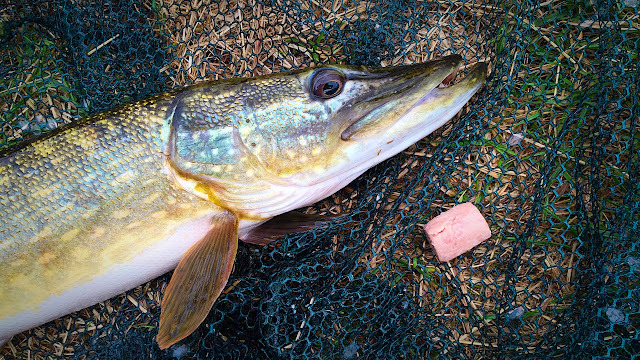 The angler who I spoke to earlier heard the commotion and did the hours with the camera. I’d usually use an unhooking mat but the thick grass was incredibly soft so did a similar job. 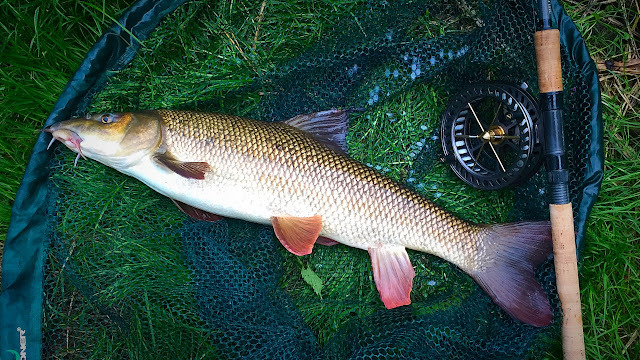 Again rested in the net for it to get its strength back I returned to the water, the first Barbel of the season and most welcome. A few further swims without a touch I returned to the same swim and again similar tactics I managed a hard fighting Chub of 4lb 4oz. With the light faded I had intended to sit it out behind an isotope for an hour but after catching Mr Tree again I called it a day around 9.30pm. An enjoyable session that’s for sure, I like these light and simple sessions, no wheelbarrow in sight. After a recent trip to Ibiza full of excess and overindulgence it was nice to get back to the peace and tranquillity of the Warwickshire Avon. There had been some rain of late so the water was up and it also had decent pace to it. 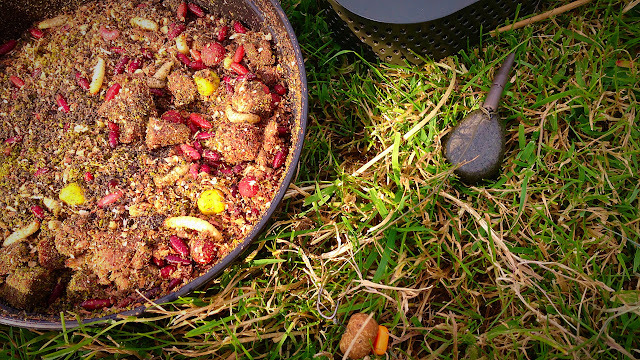 Still the wrong stage of mucky for a static lump of meat for Barbel so for this session I wanted to rove around a few swims and roll some meat. There is nothing special about my rolling set-up, a couple of Preston jumbo locking shot pinched on the line with a large Korda longshank hook to hold a big piece of meat. A centrepin completes the set-up which is ideal for the job. 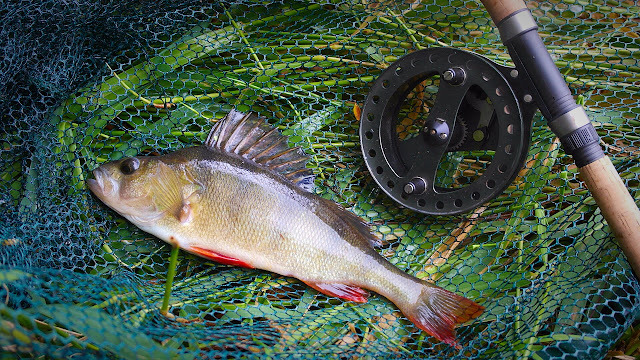 Not only can you adjust the pace of the ‘rolling meat’ but you can also feel all the taps and knocks through your thumb on the spool. 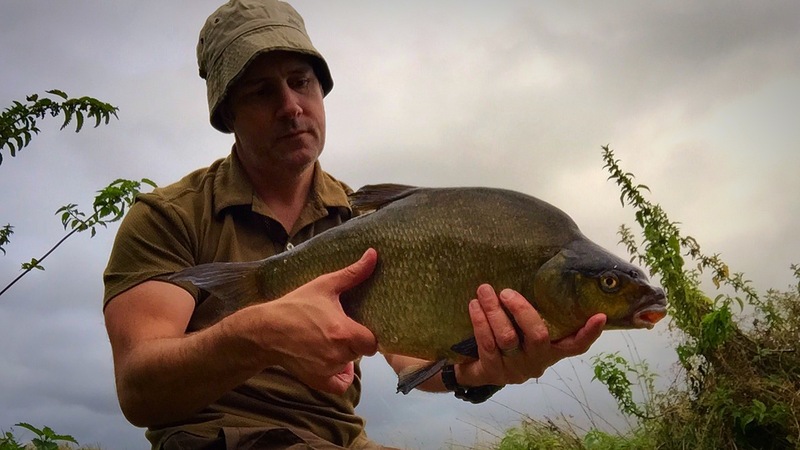 Within 5 minutes of rocking up at the first swim, a half decent bream had surfaced and a smallish Chub. The first swim is a nice run through, around 60 or 70 yards right under the large willow that blankets the swim and covers half the surface area. 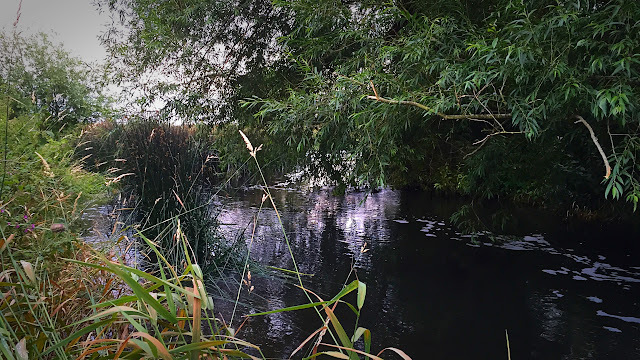 It narrows and gathers pace towards the end of the stretch where it ‘tunnels’ through some reeds and thickish streamer reed. 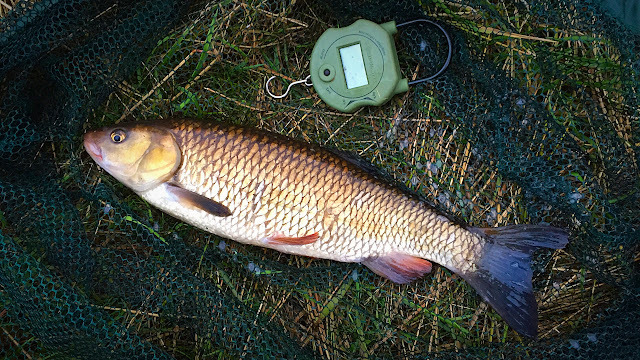 The first fish was a Chub of 3lb or so and the next hour produced another 4 Chub with the biggest 4lb 6oz. 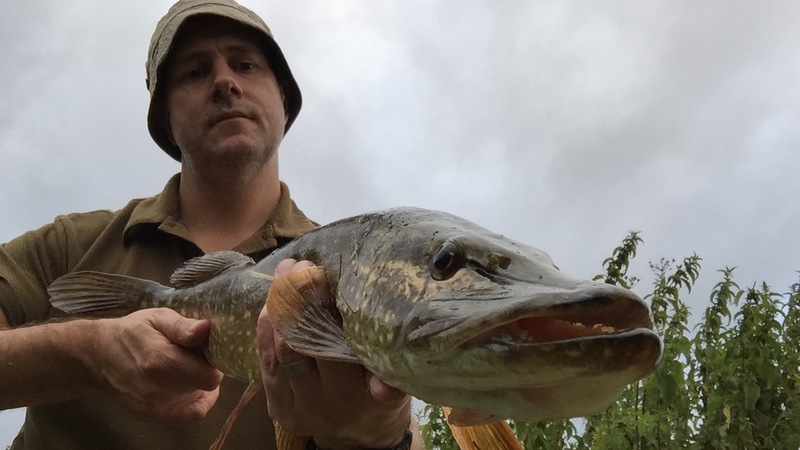 The swim went quiet so I went to the next swim upstream and the first fish after the 3rd or 4th cast was a greedy jack pike of 4lb 4oz, a few much needed points for the Bloggers Challenge but will be bettered no doubt when I target them specifically in the winter months. I returned to the first swim and the first roll through I felt a few taps and bumps and struck in to what felt like a decent fish. I caught sight of a slab sided shape though; yeap a snotty had hovered up the meat and was making use of its size in the flow. Not the biggest I’ve caught this season, but 4lb 8oz, not a bad fish. For the last hour when the isotopes were starting to be show themselves I fished a couple of lone angler caviar pellets under the willow. An almighty whacking bite came around 10.15pm but as it was self imposed, don’t want to ‘take the piss’ packing up time it will have to wait for another day, God know why I didn’t connect, maybe it was some debris that was being washed down, who knows. It definitely felt Barbel like. With the weekend being filled with usher duties at a friend’s wedding, I’m planning to take a visit to the ‘brook’ over the next couple of days with the same method in mind. With nearly two weeks away from the river, it was good to be back. With a smattering of rain recently there was a much welcomed tinge of colour to the river, it even looked up a gnat’s nadger, fantastic. There wasn’t anything scientific for this session I had come and geared up for Barbel. Two rods, some dampened sonubaits cheesy garlic pellets and some hemp and fishmeal groundbait for the feeder. Bait on the hair was a big lump of garlic spam, tactics well there were none really, just sit back and wait for the rod to properly hoop over. In this short 3 hour session I planned to fish to dusk to give me a better chance of a fish, certainly the areas of the Avon I frequent most captures especially the bigger fish have been in heavily coloured water or when the light has started to go, the smaller fish I’ve found happy to feed in any conditions but the better stamp of fish definitely feed more confidently when they are less likely to be seen. One of the prime times is as soon as the bats start leaving their roosts to feed on everything flying; now therein lies the problem as their echolocation could do with a brush-up as they are forever hitting my line, the amateurs. 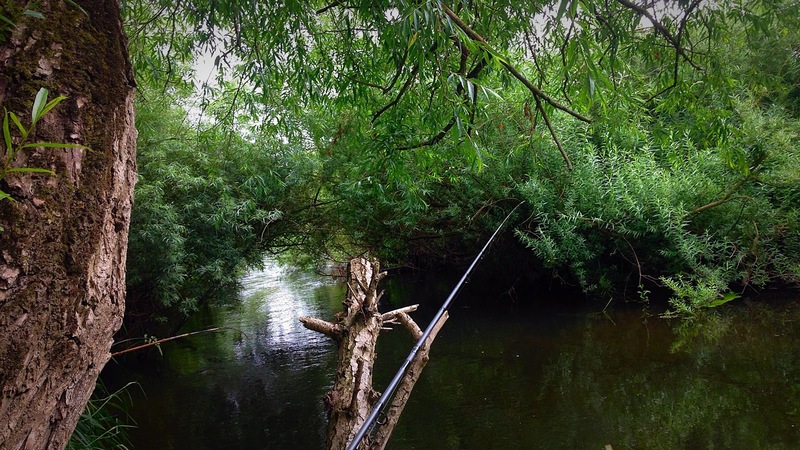 Stick with it though, ignore the short twangs and knocks, and just wait for the rod to leave the rest, the classic and unmissable Barbel bite. 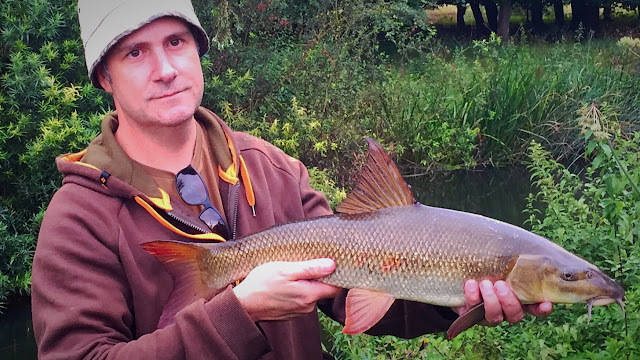 My PB Barbel is 11lb 11oz which is half decent especially when it was caught in a narrow snaggy swim and put up a cracking fight, but there are certainly Warwickshire Avon fish far bigger than that to be had. 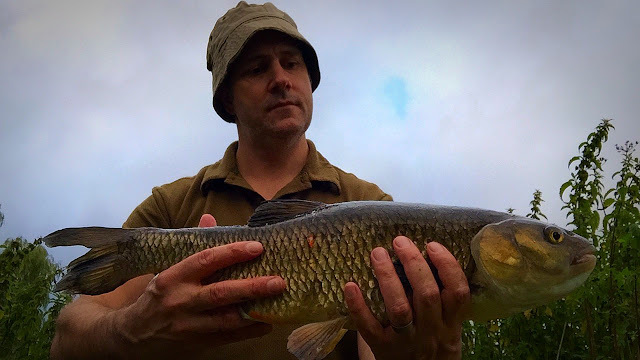 I’ve mentioned it before but last season I’d hooked a Chub in the shallows and whilst playing the fish a Barbel swam out from under an overhanging tree and proceeded to meander upstream amongst the thick streamer weed, that fish took my breath away, a real sight to behold, such an impressive specimen. Best laid plans and all that because despite fishing till 10.30pm all I caught were Chub, lots of them too so I actually ran out of bait, they loved the stuff. Even doubling the hair length they would still eventually hook themselves. 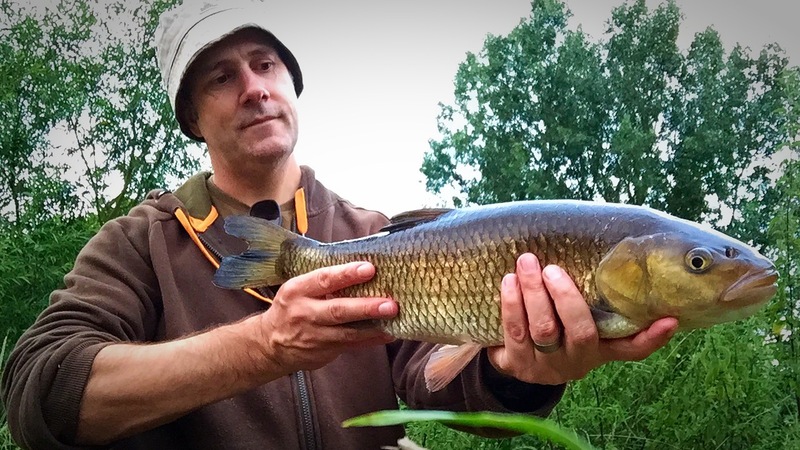 I must have had a least 10 or 11 Chub and even removing the feeder on one of the rods and fishing the meat rolling style in the flow didn’t make any difference I still caught Chub, they were properly on it this evening. The biggest was a mediocre 3lb 10oz or so. 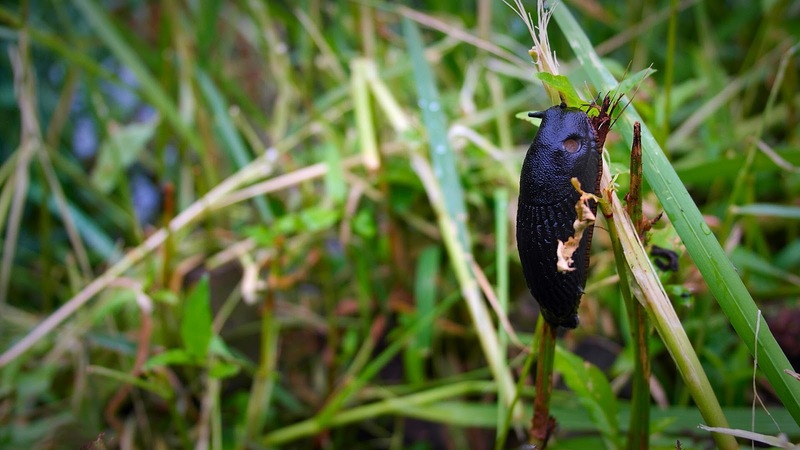 The swim was littered with plump black slugs so I did think about using one of those for the hook, but Chub love them, and I didn't want a Chub. I was very tentative for this session, a stomach bug the previous weekend had knocked me for six and I still felt drained and knackered and not entirely in the mood for fishing. For some much needed fresh air and bank time I decided to travel as light as possible with a tub of lobworms and not much of a plan. 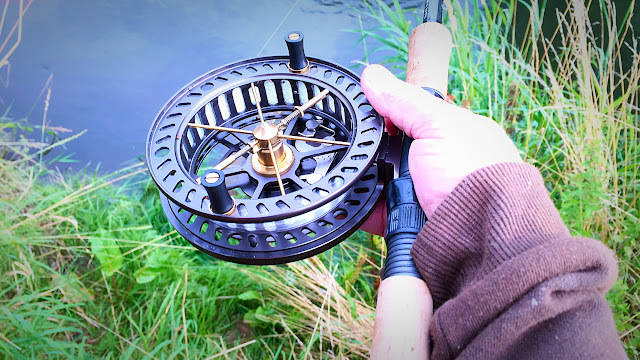 The rivers are not the best at the minute, with conditions tough, very low and clear and in need of a top up, so even a bend in the rod would be nice. 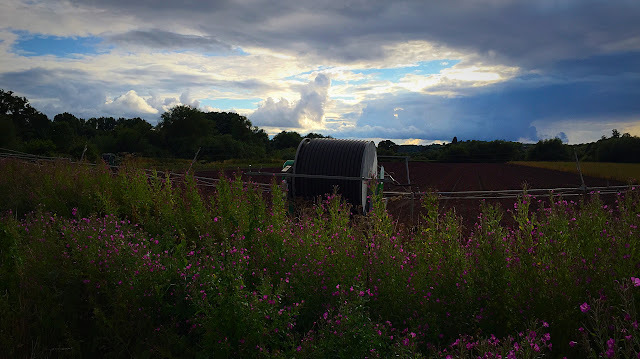 I had planned to fish the weir at the brook because of the oxygenated water but the surface looked like the worlds biggest bubble bath and also the farmer and his helpers were planting meters from it, hardly peaceful. There are decent Perch in this stretch but there needs to be a tinge of colour otherwise the bigger fish are nowhere to be seen. This is probably the clearest I've seen it in a long time. I fished 5 different swims with plenty of small Perch and chublets with the biggest fish 3.5lb Chub that fought well in the clear water. I'm gradually getting back in to the swing of things but this weekend it will be the lads annual pilgrimage to Ibiza with beer and tapas at the Cafe Del Mar, hopefully the rivers will be better nick for when I return. With the weekend’s river carp session a bit of a washout and the lovely weather returning, 19 degrees warmer in fact compared to a few days ago (34 degrees and too hot for me). For this short evening session I decided to return the lily pad sanctuary to see if the carp were more active and hopefully were revealing themselves. 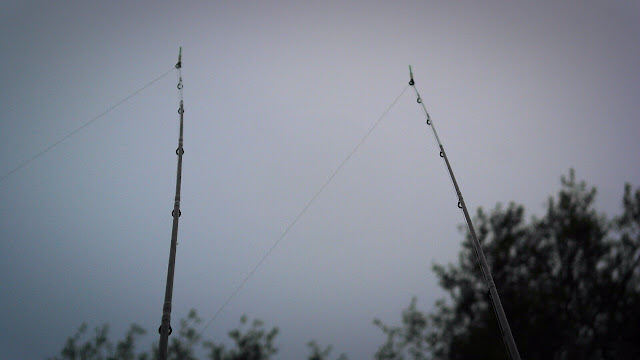 The plan was to use a bait dropper to deposit a bed of maggot, wax worms, pellet and broken boilie in the ‘blinkers on’ swim where the last session I’d spotted a couple of carp and then fish a sleeper bolt rig set-up with a hi-viz corn topped cell boilie on the hair. A float laid on the lilies with breadflake or lobworm on the bottom would usually be my stalking / exciting method of choice but the amount of small fish attacking the hookbait last weekend was a sight to behold, it was a of non-starter. The swim was chocker as within 5 minutes of the large piece of flake resting on the bottom the greedy little blighters would have attacked it so vigorously it would break away from the hook and return to the surface. 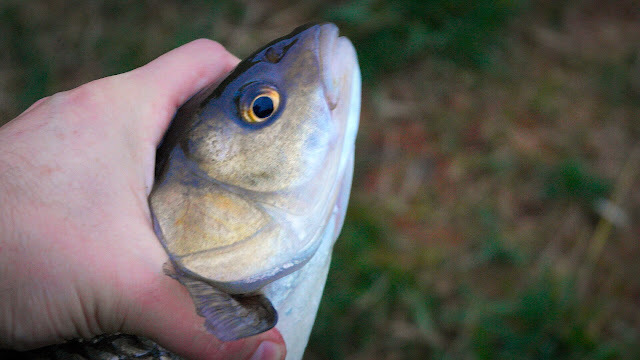 A lobworm just resulted in little Perch. The boilie could be left without issue and would be a waiting game. 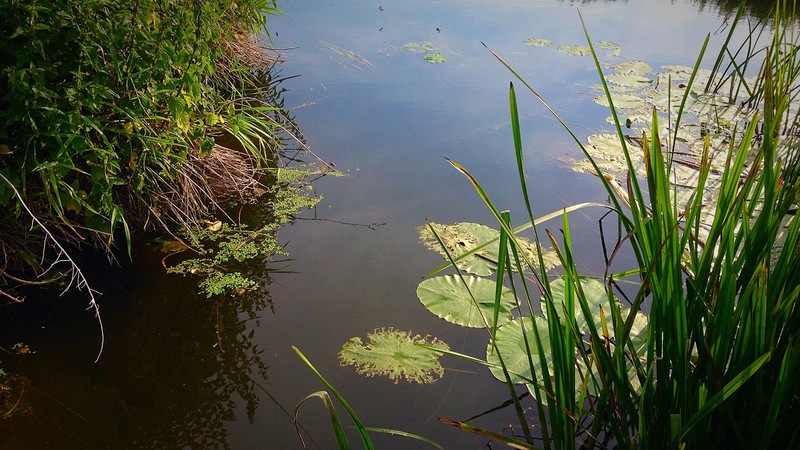 The main rod was a water weighted bubble float with a highly visual piece of bread crust on the hook which would be coaxed down the stretch amongst the flow and flowering nymphaeaceae, to try and coax them out chum mixer would be used as loose feed. To accompany me on the trip my mate Simon was ditched for a couple of small cans of Fursty Ferret...it was f’ing hot and humid one that’s for sure. 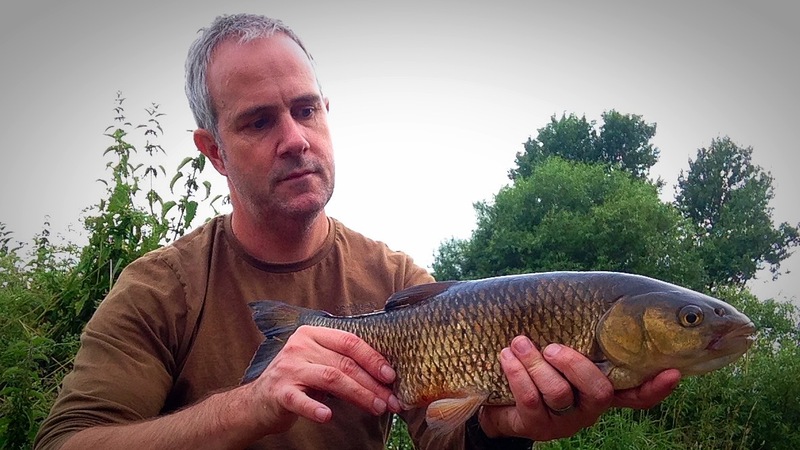 With the bait dropper sorted I set the sleeper rod and went for a wander. This time after throwing some dog biscuits out a few carp were milling about and they even had their backs out of the water, as quick as they turned up though they disappeared. Again wait and watch and they will eventually give their location away. As I was crouching down I even spotted a couple of carp which looked about 7lb literally next to my feet, you’ve have even possibly have scooped them up if you were quick enough. At 8.45pm with an hour or so left I eventually found a couple in the middle of the stretch, there was a gap in the reeds and also it was less suicidal as it wasn’t as thick with lilies. After a couple of missed takes (me being premature) I positioned the bubble float on a lily pad and watched and waited with my hands under my legs. Sure enough a huge disturbance in the water and a fish was on, it had hooked itself on the weight of the bubble float. This was a decent carp, the water is incredibly clear and it looked a mid double and a dark as you like common, it looked a fantastic river fish. 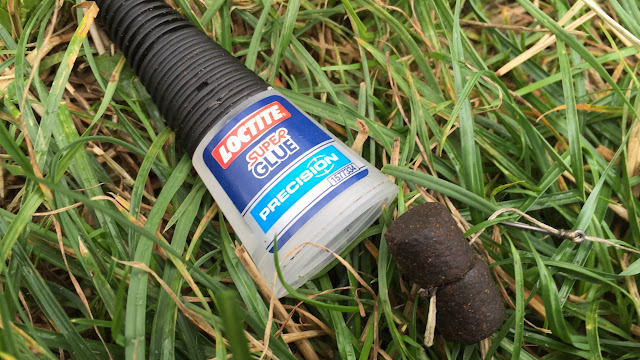 After a few lunging runs I felt I had it under control until it went for a one last dive for cover, I had to give it some gip and then the ‘bang’ the fish was off, you f****** w***** as I threw the rod down. Upon inspection the knot had failed at the swivel, nearest the rod tip. I cannot remember the last time I had a knot failure, a nightmare. For the last half an hour I moved to the end of the swim and fed dog biscuits and bread. Initially small fish were topping but then a few larger fish had moved in. 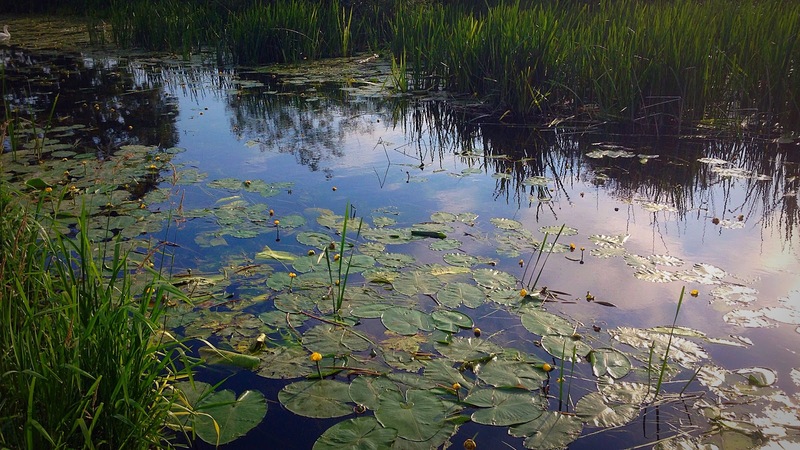 Again I positioned the bubble float on a lily and waited and watched. It didn’t take long either for a fish to engulf all the bread and a fish was on. 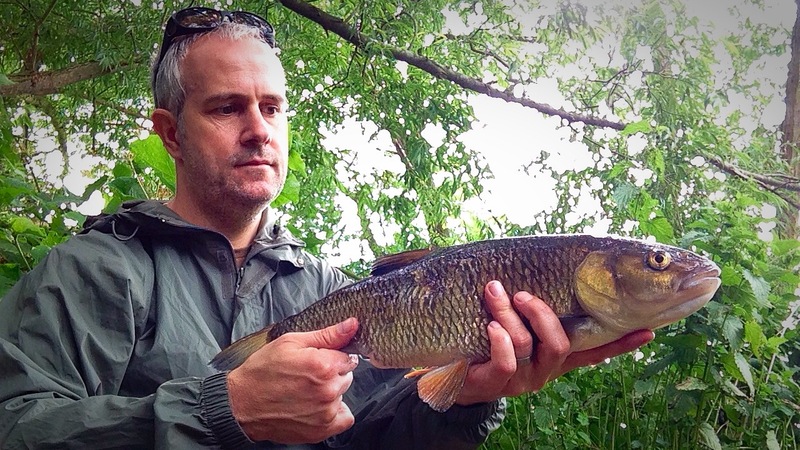 It was a Chub, sadly the wrong C.
It was nice to catch it off the surface but being over gunned for a Chub it didn’t have much of a chance. I didn’t bother weighing it but it looked 3.5lb or so. I left with a wet net and another ‘the one that got away story’ to be added to my ever growing collection. Back to the drawing board. 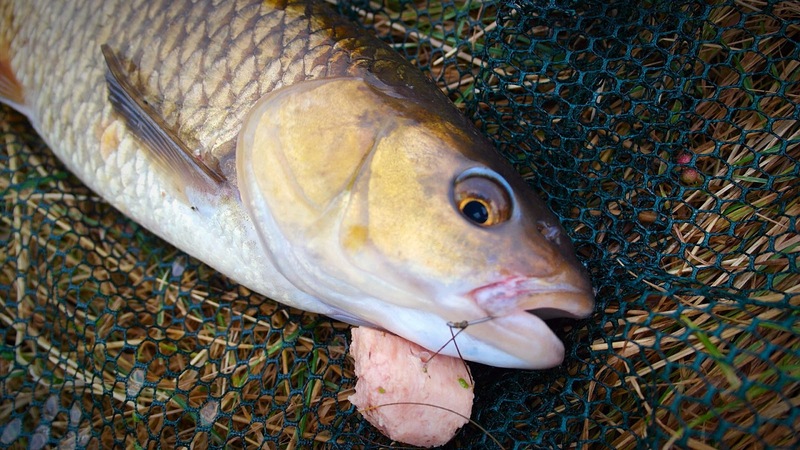 They ain't easy these carp, but I've caught one before so I will spend more hours targeting them. I've not given up yet. Sadly it's going to be next week now as I'm looking after the kids all weekend. Incidentally not even a beep on the sleeper rod.